“The Wylde Team” demanded it last night, “The Volitale one” Curtis Wylde said he has been overlooked for a title shot. 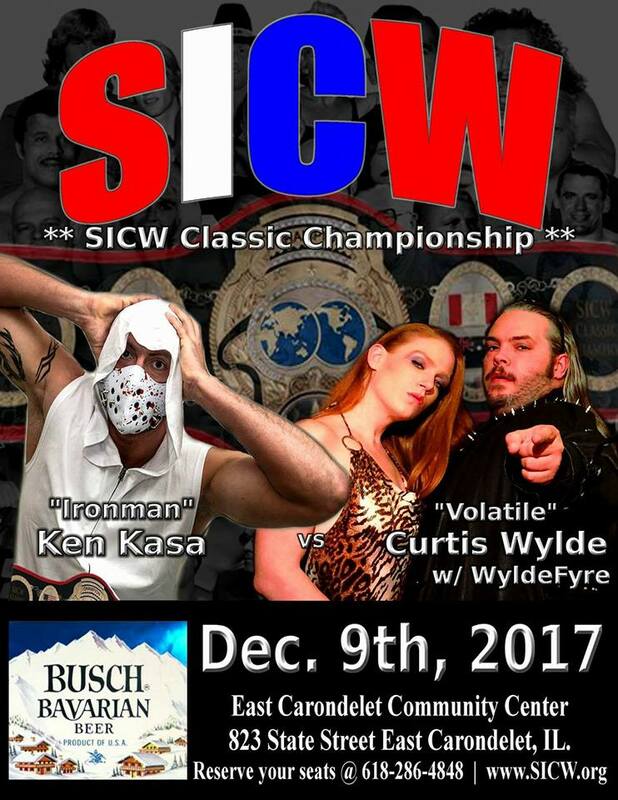 After a long night of going over his loud obnoxious comments, I have signed him to meet the SICW Champion “The Iron man Ken Kasa on Saturday December 9th in East Carondelet Illinois. We will see if he can put up or shut up. Stay tune for more matches to be added to the SICW “Christmas Show” with Santa Claus in the house. This entry was posted on November 19, 2017 at 1:52 pm	and is filed under Uncategorized. You can follow any responses to this entry through the RSS 2.0 feed. You can leave a response, or trackback from your own site.